Well all I can say is about bloody time Mr Jones! You have probably already heard the news that the Dame himself a.k.a. 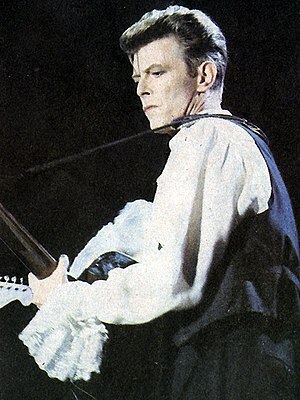 Mr Bowie has released a new single today, his 66th birthday. It is called “Where Are We Now” and is taken from a new album, ‘The Next Day’ which will be released in March. 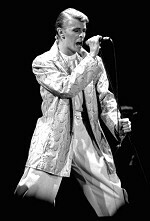 The single and album are produced by Bowie’s long time friend and producer Tony Visconti. It is his first new album for ten years and was recorded in New York. 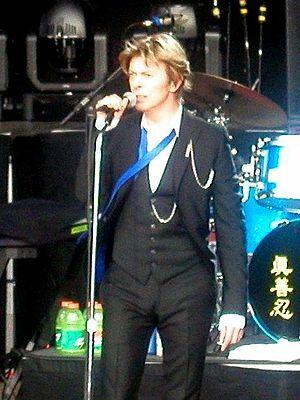 Like many others I had assumed that Bowie had retired after his heart problems in 2004. I am very pleased and excited that he hasn’t. I heard the new song on Chris Evan’s Radio Two breakfast show this morning. It’s a slow, atmospheric ballad which evokes feelings of sadness to me. It also includes what appears to be many references to his time in Berlin in the late 70s. I will be playing it a lot over the coming weeks. It feels a lot like the more mellow songs from both ‘Heathen‘ and ‘Reality‘ from 2002 and 2003 respectively. It also sounds like it would fit well on the album that his record label bizarrely rejected in 2001. That consisted of a number of rerecordings of some his 60s songs and some other material. It would have been called ‘Toy’ and obviously I have the bootleg and it is damned good. Only Bowie could have informed the world that he is not retired and announce the release of new material in such an understated way. the single was simply made available on iTunes before the press kicked in. Contrast that with the hoopla around the Rolling Stones 50th anniversary activities; press conferences and yet another compilation with just a couple of new tracks. I can hardly wait for the album now. I haven’t been as excited about the release of a new album from anyone for many years! Click here to read the report on the NME. On line the single appears to be receiving mixed, but mainly positive reviews. I would love to know what you think of it. Will this lead to any live gigs or maybe a full on tour? I’d like to think so, but given his time away from live performance maybe not. but at least we know that the fabulous David Bowie is back in a big way. Oh and before I forget, Happy Birthday Dave! Seven swans a swimming, I’ve been looking forward to this part of my 12 days of Christmas posts as it features two of my favourite songs. Incidentally did you know that the mute swan which is native to the UK has doubled it’s population since 1983? Maybe it’s the royal protection they are afforded which saw to that. Ride A White Skateboard anyone? Anyway on to the first of todays songs and this one was an obvious choice. It is “Ride A White Swan” from T. Rex and it is only the second signal released under the shortened name after the band used to be known as Tyrannosaurus Rex. It is also the song that helped kick off what became known as Glam Rock and the screaming adulation given to Bolan in what became known as Trextasy. The song was released in late 1970 and didn’t reach its highest UK chart position of number two until January 1971. It was produced by Tony Visconti as were many of the bands biggest hits. It was released as a maxi single. So named as it featured three and not the customary two tracks. The other tracks were “Is It Love” and a rather interesting cover of Eddie Cochran‘s “Summertime Blues”. “Ride A White Swan” kicked off a run of 10 consecutive UK top 5 hits for the band which lasted from 1971 to 1973 and included four number ones. 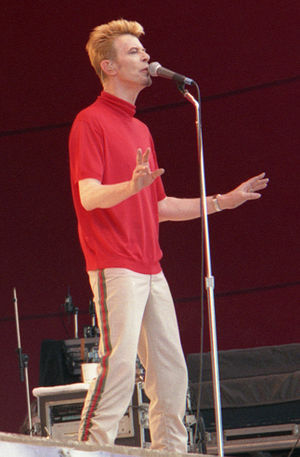 The song could only manage a very lowly number 76 in the US chart. The second choice for today was an obvious one for me, but do you know why it’s here? It is the stupendous “Badge” from Cream. The band was effectively an early supergroup featuring Eric Clapton, Ginger Baker and Jack Bruce. Interestingly it wasn’t Clapton that played guitar on this track, it was George Harrison. This was a favour in return for Clapton providing guitar on the Beatles track “While My Guitar Gently Weeps”. It was written by Clapton and Harrison and featured on Cream’s final album ‘Goodbye’. It made number 18 in the UK charts in 1969 and only reached number 60 in the US. Apparently it was a drunk Ringo Starr that gave the pair the line in the song which secured its inclusion in today’s post. Do you know what that line is yet? For contractual reasons George Harrison was listed under a pseudonym in terms of the playing personnel. That name was L’Angelo Misterioso.